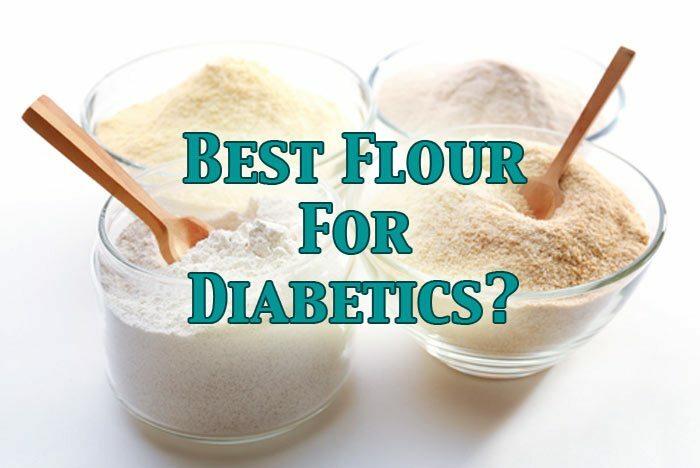 Best Flour To Use If You’re Diabetic? When it comes to flours, making the right choice is very important to blood sugar control. 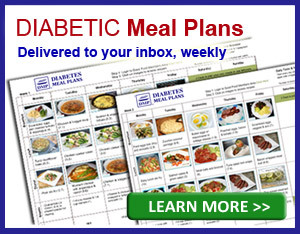 So we've gathered some great info here for you to use in your diabetes friendly kitchen and menu preparations. Are Grains & Flour Really Good For Fiber? We've often been told that eating whole grains is a great source of fiber. And while ‘whole grains' do provide some fiber they are not the only thing that provide us with our daily fiber needs, vegetables do too. For example: 1 slice of wholewheat bread has 1.9 grams of fiber, while a carrot has 2.3 grams. All grains and vegetables do range in fiber content, but vegetables are a great source of daily fiber and are also higher in vitamins, minerals, and antioxidants than grains. So we don't have to eat grains in order to get adequate fiber. Often when we take a grain and make it into flour, it changes the carb and fiber content. So what tends to happen for you as a diabetic is that most types of flours will make your blood sugar spike like wild fire. At least that's what most people experience, which is why our meal plans contain virtually no grain flours at all. An example of this is buckwheat. 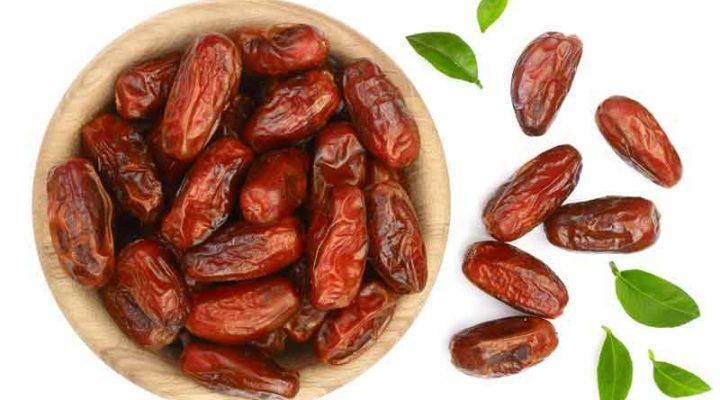 Eaten whole it has a glycemic index (GI) of around 49, which is a low GI. But take it and turn it into bread and it changes to a GI of 67, meaning it affects your blood sugar more rapidly and more intensely than eating the whole grain itself. Here is another example using wheat. Whole wheat kernals are a very low GI of 30, but we don't tend to eat whole wheat kernals, we eat whole wheat flour and it has an average GI of around 74. It's true that whole grains are better as far as nutrition goes. When you eat refined grains (the white stuff) you are only getting the endosperm, so basically all of the nutrition has been stripped from the grain, which isn't really ideal. So if you are going to choose any type of grain, choose only whole grains. BUT, as suggested above, even whole grains can be problematic for people with diabetes. So we only use almond flour or almond meal, coconut flour, ground flaxseed meal, sesame flour, and other nut flours in the majority of our low carb breads and bakes. On the odd occasion, we use a small amount of ‘normal' flour (1-2 tablespoons) such as arrowroot or corn flour, just to thicken sauces, which can be difficult to do with low carb flours. Take this delicious burger as an example, the bun is our 3-Minute ‘no carb' Microwave Bun. It tastes just like bread but has zero carbs, that's right…zero! 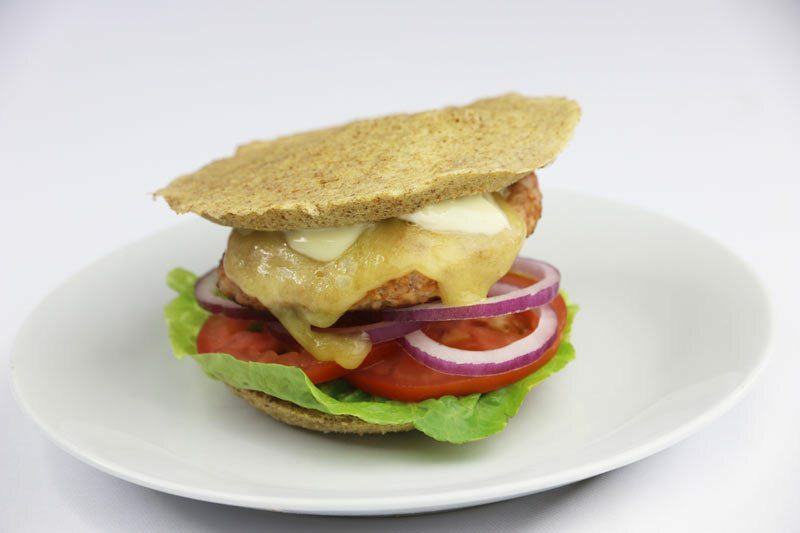 Let's now compare a normal flour based burger with one of our low carb burgers, made from our 3-minute microwave bun. 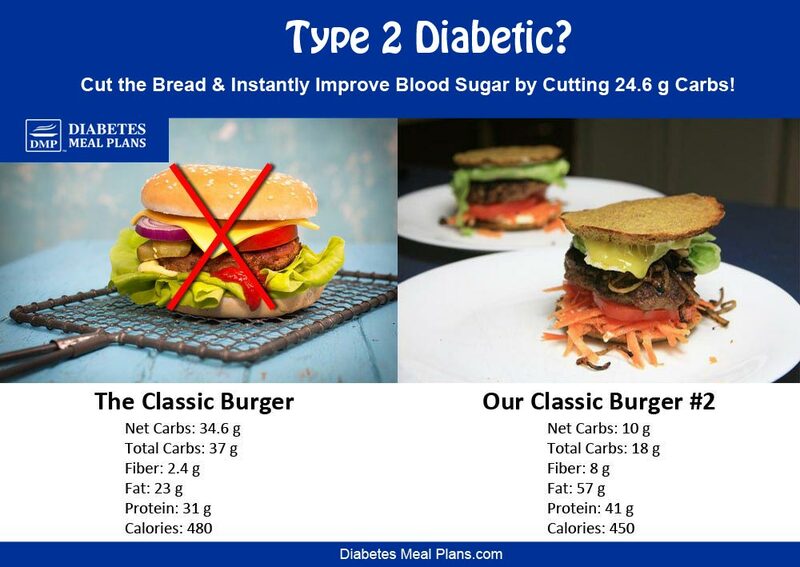 Here we have a classic burger (something we all love), up against our low carb classic burger #2 (amazingly delicious). It's made with our zero carb 3-minute microwave bun. Using net carbs is another useful way to determine the healthiness of foods, because when you subtract the fiber content from the total carbs (Total carbs minus fiber = net carbs), you're left with the ‘available' carbs – the amount of carbs that will end up in your bloodstream and ultimately influence your blood sugar levels. High GI foods rapidly effect blood sugar, while low GI foods have a slow digestion and absorption and produce a more gradual rise in blood sugar. Below 55 is considered low GI. So the lower it is the better and the higher it is the faster it affects blood sugar and the worse it is for you as a diabetic. 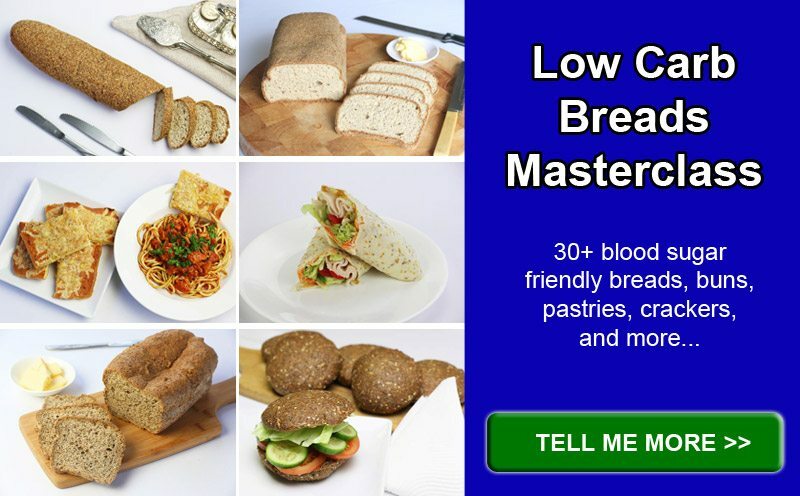 It's difficult to find all the flours isolated for their glycemic index so this list breaks down into sections for breads (since we commonly eat flour like this), flours, and other. For example: Whole wheat kernals are 30 (low GI) and whole wheat flour is 71 (high GI). This was already mentioned above, but it is a significant jump wouldn't you agree? This is very interesting because making sourdough produces beneficial gut bacteria that help with digestion, and this clearly has a strong impact on how it then influences the blood sugar response. In our list of breads above, you will notice that chickpea bread is highlighted as the cut off point because all breads below that are high (and higher) in GI, meaning they are not good options for you as a person with type 2 diabetes or prediabetes. We'd encourage that you use those too, but at least now, with all this information you can make a more informed choice about what flours you will use. 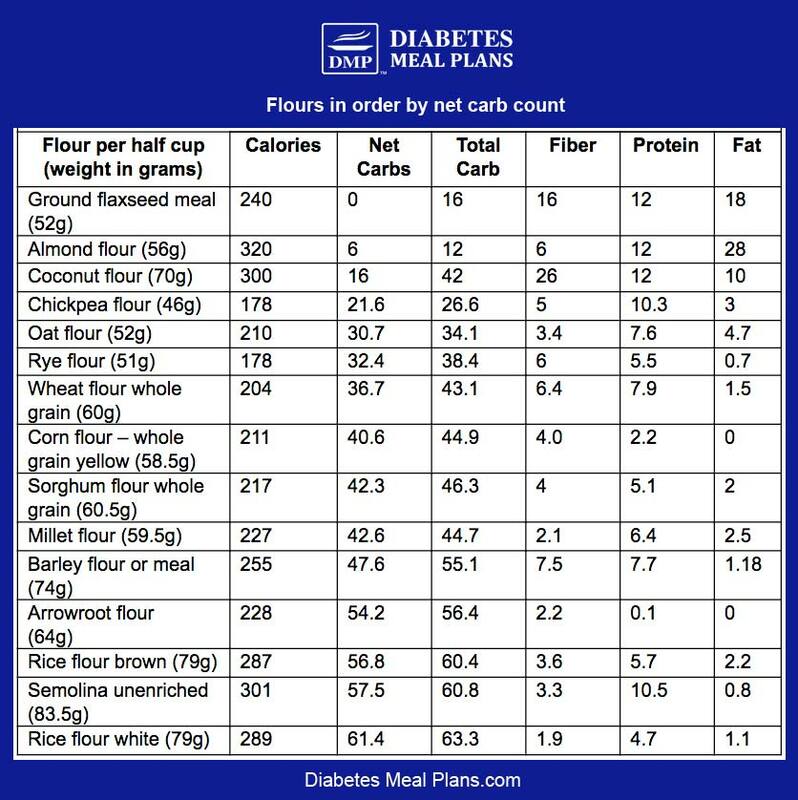 So that's the run down on the best flour to eat as a diabetic. Did you learn some interesting stuff? What flours do you use? 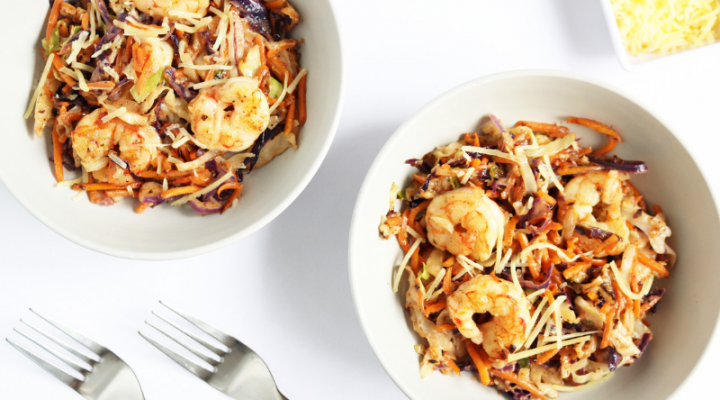 A recipe for the 3-Minute ‘no carb’ Microwave Bun would be appreciated….thanks! Hi Rob, All our bread recipes are reserved for members at this time. You are welcome! Let us know if you ever have any questions. I have been reading lately that it it more important to follow the glycemic load rather than the glycemic index of a food ince the serving sizes of foods tested is often unrealistic. What are your thoughts on this? 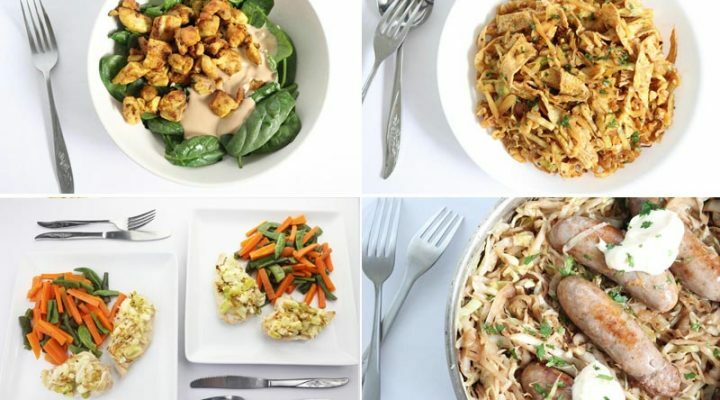 We feel that the best method is to use total carbs as time and time again it is shown that carbohydrates are the type of nutrient that most impacts blood sugar levels. Both glycemic index and glycemic load are useful tools, and often times mimic total carb, but there are certain foods (ie. snickers bar) that are seemingly misplaced on the chart when looking at glycemic index/load. Read about the other drawbacks of the glycemic index and glycemic load in this article.